Hayward police are searching for a suspect who allegedly assaulted two police officers Friday. Around 1 a.m. police warned residents near Highgate Drive and Alquire Parkway about of the search and issues a shelter in place. The shelter in place was lifted once police deemed the area safe. Police in Hayward were searching for a suspect who assaulted officers overnight Friday. 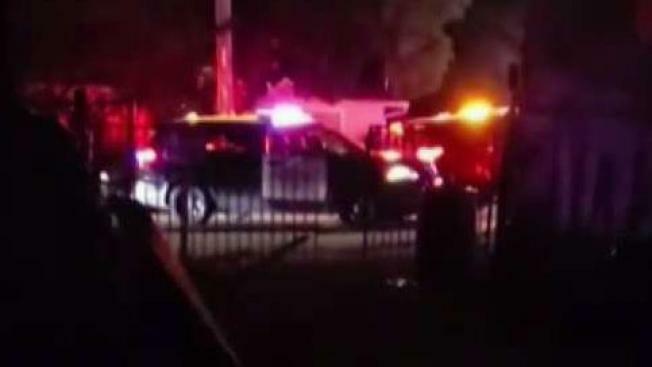 Hayward Police Department posted on Facebook around 1 a.m. Saturday, warning residents near Highgate Drive and Alquire Parkway that officers were searching for someone who assaulted two officers in the area. The extent of their injuries were unclear but police said the officers "are doing well." "We immediately sent out a shelter in place to keep our community members safe. We want to thank everyone for their patience and cooperation during this incident," the department said. The shelter-in-place was lifted after police deemed the area safe.